Myrtle Beach, South Carolina Celebrates Canadian Visitors for the 58th Year! 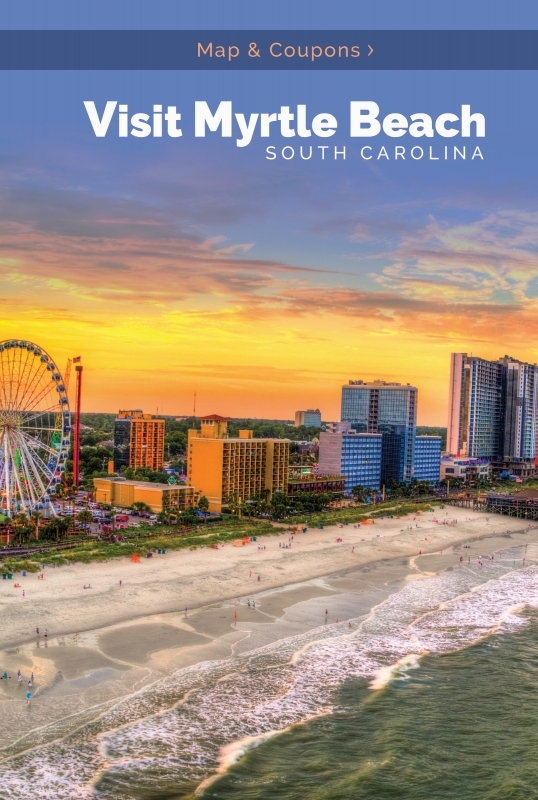 MYRTLE BEACH, S.C. – Though the 58th annual Canadian-American Days lasts just one week, March 9 – 17, 2019, select Myrtle Beach area hotels, merchants and attractions are offering discounts from January through April 2019 for travelers with a valid Canadian passport. Ranging from 25 to as much as 55 percent, the discounts are designed to help Canadians "make up" the difference in the Canadian exchange rate. "We have been a favorite destination for Canadian visitors for decades, and we want them to know that we appreciate them and welcome them to the Grand Strand,” said Karen Riordan, President and CEO of the Myrtle Beach Area Chamber of Commerce. "The late winter and early spring seasons offer mild weather, more affordable accommodations and more elbow room at area attractions. The special promotions for our Canadian neighbors provide even more incentive by bridging the gap in the exchange rate." During Canadian-American Days, Canadians can enjoy complimentary coffee and donuts at the Myrtle Beach Area Chamber of Commerce at 1200 North Oak Street while they gather information on the region’s vast-array of attractions. Canadians can also enjoy special tours in Conway, SC. March 12-15, the city of Conway, just a short drive from Myrtle Beach, is offering tours of the Bryan House, Waccamaw River Tours, an historic walking tour, and Horry County Museum tours. These discounts are available for valid dates listed on the individual deal/coupon. Coupons are not needed to receive the discount, just show a valid Canadian ID. Special offers will continue to be added on the Can-Am promotions page where more detailed information, as well as restrictions, will be posted.